And before you ask about the last name, no. No relation. And yet, when she arrived in Key West, music wasn’t a priority. She kept her hands in the dirt and her eye on the sea. “For 4-1/2 years, I did landscaping for Land Creations, and I worked for Sebago.” She continued being a case worker for the Early Learning Coalition. Then, a year after she first arrived, she began playing music. “I lived at Oceanside and was always playing with friends, like I used to do back home. 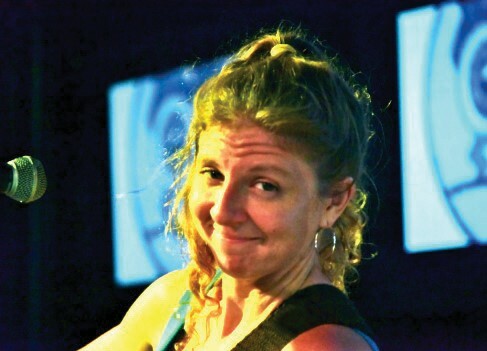 My first gig was at Hogfish Bar.” She has been performing steadily as a solo vocalist in the Lower Florida Keys since 2013, with a long list of accolades. She’s a regular entertainer at Sunset Tiki Bar at the Galleon, Pincher’s Crab Shack, Boondocks, Mangrove Mama’s, Hogfish Bar, Kelly’s Caribbean Bar, and Geiger Key Marina, along with dozens of others. She’s proudly part of Gary Hempsey’s “That Hippie Band,” along with local notables Russ Scavelli, Pete Jarvis and Gary Shandley. “It’s music from the Woodstock era, with harmonies, Grateful Dead, Beatles, Neil Young.” They play occasionally at Schooner Wharf and Boondocks Bar and Grill. 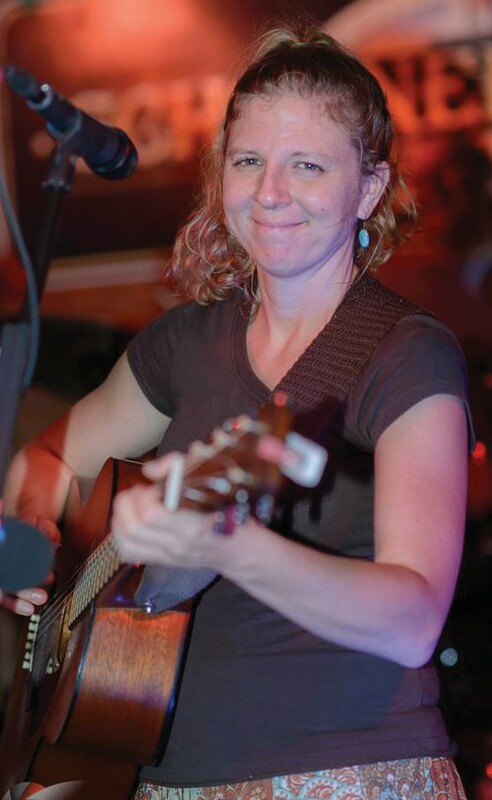 Emily has a stockade of music piled in her set list, with a lean toward the hippie and socially conscious singer/ songwriters: Grateful Dead, Bob Marley, Gordon Lightfoot, Joni Mitchell, Bob Dylan, the Beatles, Woody Guthrie and Neil Young. But there’s also Led Zeppelin, Sublime, Alison Krauss, Doris Day, Creedence Clearwater Revival, Bachman Turner Overdrive, Blondie and Aretha Franklin thrown in for diversity, and that’s just the tip of the iceberg. 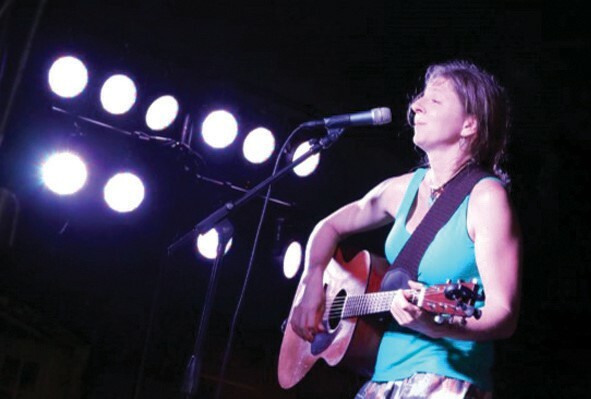 She has just released her first single, “The 10c Bottle Law,” a tongue-in-cheek plea for expanded recycling programs, hoping to reach her audiences with a free-spirited, down-to-earth appreciation for the richness and fragility of life. When she’s not onstage, Emily enjoys kayaking. “I’m concerned about the direction of my art and purpose. To be inspired by, and to protect, the environment and humanitarian issues. To listen and respect each other.” It’s not surprising that in 2008, while still in college, Emily studied in Mexico to learn Spanish because she was considering a career as a migrant worker advocate. As far as plans for the future, she’s trying to figure out a way to branch back up to Michigan again, and in the meantime, she’s collaborating with other local musicians in the recording studio. We can only have high expectations of things to come from Emily Springsteen.